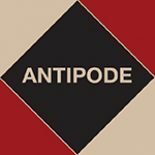 We, the Editorial Collective of Antipode: A Radical Journal of Geography, stand in heartfelt solidarity with members of the University and College Union (UCU) who are engaged in industrial action in defence of the pension system. Presented with proposals for draconian cuts to the pension scheme, and after a breakdown in negotiations with the employers’ representative, UCU voted overwhelmingly to initiate a series of strikes, beginning on February 22nd. With this, we also acknowledge and stand in solidarity with ongoing struggles at educational institutions worldwide. Some of Antipode’s editors, reviewers, and authors are taking part in UCU’s strike action/action short of a strike (https://www.ucu.org.uk/strikeforuss), as well as those actions occurring at York University and Carleton University, in Canada (see @CUPE2424 and @cupe3903comms), and thus are unavailable to undertake their duties as editors and reviewers. As a result, although the journal’s international activities continue, response times may be slower for the duration of the dispute. This entry was posted on 7 March 2018 by Antipode Editorial Office in News and tagged Carleton University, CUPE 2424, CUPE 3903, solidarity, strike, UCU, Universities Superannuation Scheme, Universities UK, University and College Union, USS, York University.